While the popular 'Story of Yanxi Palace' may have just finished its run in China, avid fans and close followers of the show would have realised that the hasty editing in the later half of the drama series did not do justice to the overall elegant pacing of the series. The 70-episode long drama series about the lives of the Qianlong Emperor's scheming concubines has swept its way to the top of the charts, with over 15 billion views worldwide, but the haphazard editing has left us wondering: What was left out of the story in a bid to keep the series to its current form? 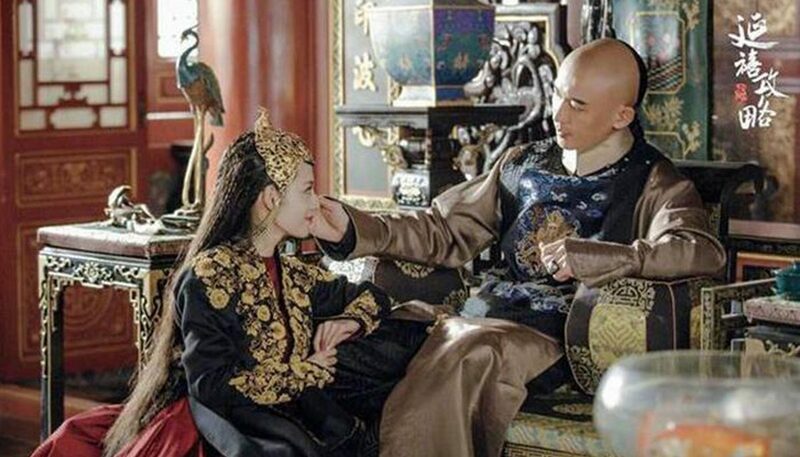 China has a strict policy about historical dramas and media companies are limited by the number of episodes that they can air in a year, so it comes as no surprise that the producers would resort to such drastic cuts in the story. While we're still hoping that iQiyi (the company that owns 'Story of Yanxi Palace') will release an extended version in the future, that's just a distant dream for now. The most dramatic storyline that was sadly left out was that of Noble Consort Gao (played by Tan Zhuo) and Wei Yingluo's sister. According to reports, Yingluo (played by Wu Jingyan) was supposed to find out that Noble Consort Gao was actually her sister's protector after she was taken advantage of by Prince Hong Zhou (played by Hong Yao). This connection came about because Noble Consort Gao took a liking to Yingluo's sister, who was a gifted seamstress and sewed all of the Noble Consort's beloved stage costumes for her. This would have added another dimension to the Noble Consort's tragic character and would explain why she was so affected when her costumes were burned. One of the villains of the story, Consort Shun (played by Zhang Jiani) is described as having a beauty that is flawless and perfect. But her introduction to the storyline was strangely absent: Yingluo comes across her in the Imperial Garden, and just when we think we are about to get a glimpse of Consort Shun, the story is moved in another direction, leaving her to make her appearance much later. The storyline also fails to account of how she came to the Emperor Qianlong's (played by Nie Feng) favour and the extent of his affection for her (Ed's note: See the photo? We do not get to see her in this outfit in the final version of the show). Much of her villainy is also reduced to her final plot to get Yingluo and Fu Heng (played by Xu Kai) killed, but there was supposed to be even more: She was supposed to harm the Step Empress Nala's (played by Charmaine Sheh) son and frame Yingluo for it, leading to her house arrest in the later episodes as well, and would be our first glimpse into her dark side. Another loose thread in the storyline is the identity of Er Qing's (played by Su Qing) son, Fukangan. While the show builds him up to the result of Er Qing's treacherous night with the Emperor Qianlong, he is actually the offspring of Er Qing and Fu Heng's brother (who has a reduced number scenes and is inexplicably upset with Fu Heng all the time, but we guess this storyline explains it). It would also have shown the extent of Er Qing's manipulation and deception of the men around her. Talks are underway for the making of a sequel for 'Story of Yanxi Palace' that will explain this particular storyline, but we'll just have to wait and see when that gets released.